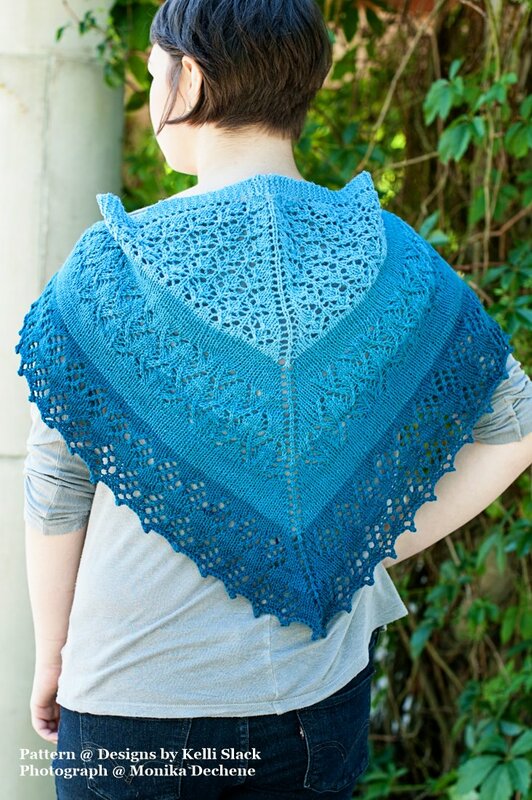 When I first conceived of this shawlette, I was not thinking of the Blue Caterpillar. As my shawl grew and the stitches swept from my needles, I began to think of it more and more. As a caterpillar changes into a butterfly, so too does our yarn into a beautifulshawl. This shawl is just as questioning as that Blue Caterpillar beginning with one pattern, making its way into steady stripes, and once again into 2 different stitch patterns before it reaches the end. Both written and charted directions are included in this pattern.